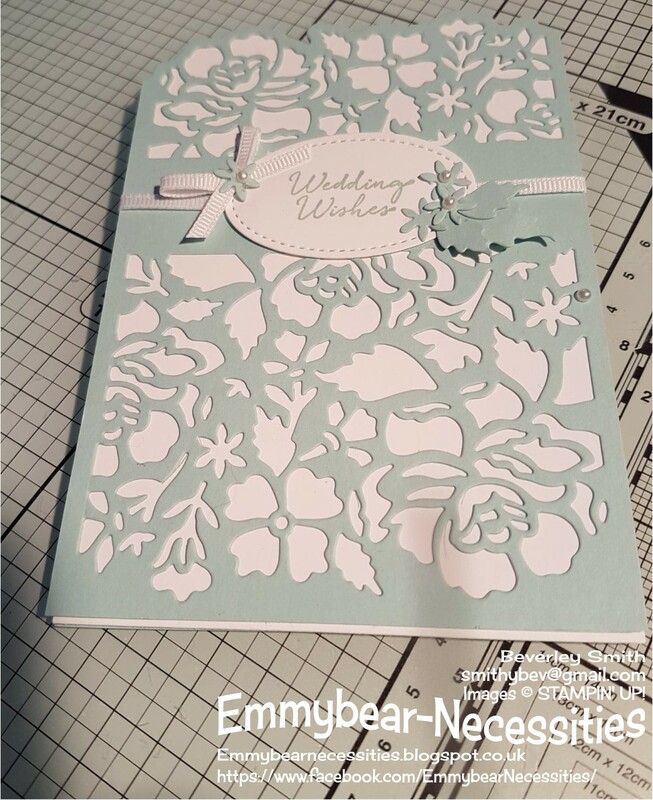 Emmybear - Necessities: Anyone for a Wedding? 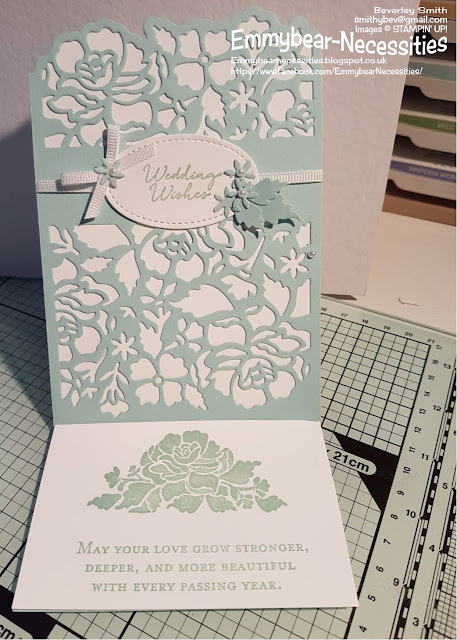 And so onto card number three of my project; this time to celebrate a wedding. Now I know I said I wanted to stick to the colours of the Delightful Daisy DSP but it is becoming apparent that my favourite colour is Pool Party! This time it was only teamed up with Whisper White for a very, in my opinion, elegant look. I decided to make an easel card using Floral Phrases. They really are easy to make although it took a little bit of time to line up the Detailed Floral Thinlits so I was happy with it. This time I chose to use Pool Party as my base card, with Whisper White as an insert and also behind my die cutting. 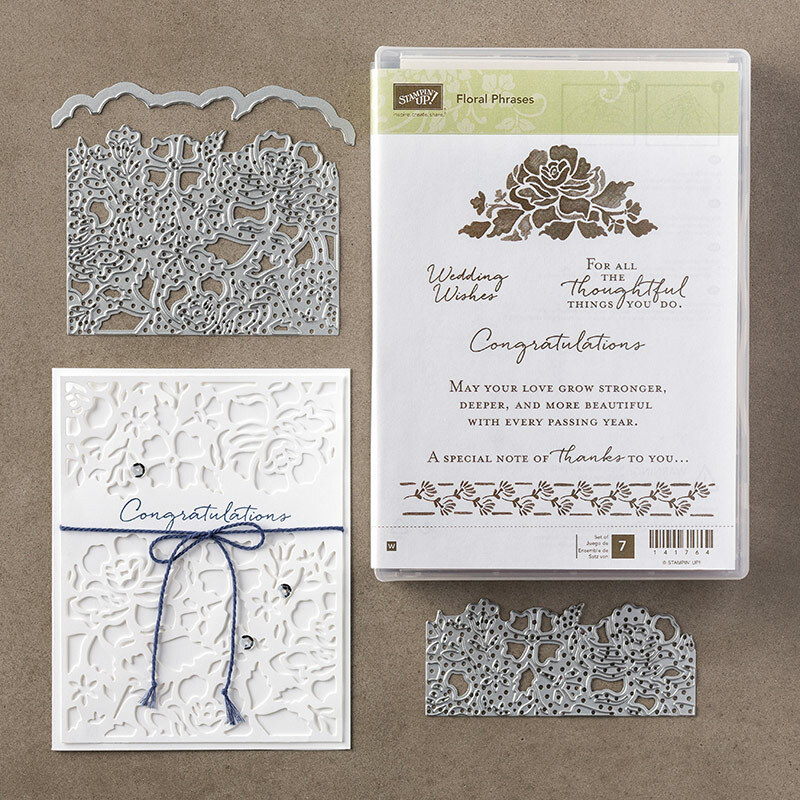 The sentiment for the front was stamped onto card and die cut using an oval Stitched Shape Framelit. I also placed a piece of white ribbon around the front of the easel and finished off with a small bow. 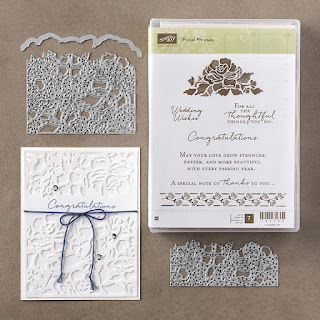 I retrieved a few of the tiny die cut flowers and leaves after releasing them from the die and added them to create a little more interest to the front. Pearls were placed in the centre of each flower. Oops, can you see the stray pearl? It tried to escape... Luckily I spotted it and secured it back in place before the card went to it's new home. Unfortunately I forgot to take another photo.